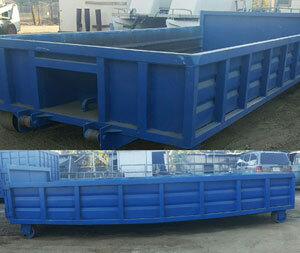 Projects small and large, we have a dumpster to accommodate it! M&M Hauling has fast become a leading provider of roll-off dumpsters in Lakeside, El Cajon, and other San Diego area communities. We provide a level of service unmatched by larger companies that can’t provider the personable and accommodating services that we can. Whether you need the dumpster dropped off at a certain time, in a certain location, or even if you need the debris loaded for you, we have you covered! Why choose M&M for roll-off dumpster rental? 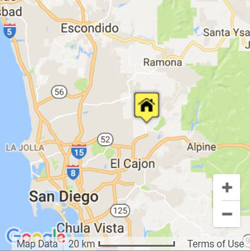 We’re a well-established demo, excavation and dumpster rental provider proudly serving the San Diego area since 1995. We started as a family owned and operated business and remain that way to this day! We’ve grown through the years thanks to lots of hard work, dedication and a focus on delivering an exceptional customer experience. We recently launched our roll-off dumpster service and are enthusiastic about providing our customers with the best service in the industry. We strive for on time delivery & pickups, affordable pricing, accommodating service, and responsiveness. We go as far as to load the dumpster for our customers upon request! Call for details. How to estimate how much junk, waste or debris I have? It can be difficult to estimate the container size you need for a particular project. A good rule of thumb is to go one dumpster size larger than you think you’ll need. It is more cost-efficient to rent a bigger dumpster than having to rent a smaller dumpster twice to finish the cleanup. At M&M, we make it easy to rent the right dumpster for the job. Simply let us know over the phone the type of debris and the scale of the project, and we’ll suggest a roll-off to suit the cleanup. To estimate the amount of debris you have, or will generate during a particular project (e.g., kitchen renovation), you can use a size comparison. A good way to visualize 1 cubic yard of material is to think of a standard kitchen stove measuring 3 ft. x 3 ft. x 3 ft. This is equivalent to 1 cubic yard of volume. This technique lets you roughly estimate whether you have 5 yards, 10 yards, or 20+ yards of debris. As previously mentioned, it’s recommended to get a larger dumpster than you think you need. For example, a customer with an estimated 15 yards of debris would want to choose a 20 yard dumpster to accommodate the job.